08 Jul How to Budget for Utilities After Moving Into Your New Home? If you have just moved to a new home, then you must have realized that there are lots of things to be taken care of. When coming up with a budget of the expected expenses, utilities rank at the top. 1. How Much Were You Spending On Utilities In Your Previous Home? 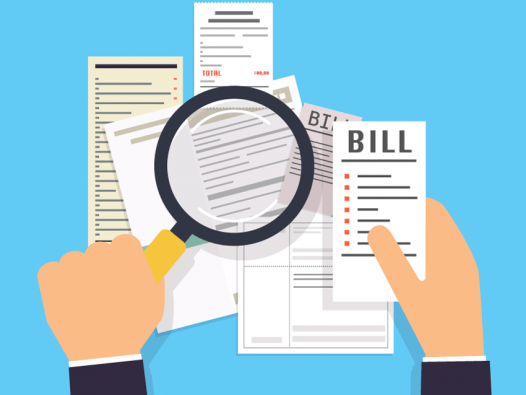 Your previous bills will play a crucial role helping you to predict the expenditure on the current utilities. At this point take into account all the utilities that you have been paying for with their estimates and add other extra utilities that come with your new home. The size of your home also impacts the utilities. To take this into account, divide the square feet of your previous home by your usage and then apply the rate to the size of your new home. 2. What Are The Rates Of Utilities In Your New Home? Since utility companies differ regarding pricing, there is a high chance that the prices could either be low or high. This is why it is important to take into account the rates charged by the utility companies in your area. To arrive at the estimate, make inquiries of the rates by calling the companies and use the information provided to calculate the expected expenditure. 3. What Is The Size Of Your New Home? Is your new home bigger or smaller? If you have moved to a bigger home, you might need extra lightning which means that the electricity expenses will increase. On the other hand, Moving to a smaller home implies that you are likely to spend less on utilities such as electricity. However, the kind of appliances installed in your home also matters. Are they energy efficient? If they are, then you should expect to pay less. But if they are not efficient, then you should set aside more money to cover the utility bills. 4. How Much Are You Willing To Pay For Utilities In A Given Period? Although many factors influence how much you are going to pay, you should begin by asking yourself what is the amount of money you are willing to pay for utilities in a particular period. This largely depends on your income because you don’t want to spend your entire salary on bills. Come up with a budget based on what you have set aside for paying expenses. For instance, you could decide to change the choice of internet provider depending on the costs involved in order to operate with what you have. While coming up with a budget could be overwhelming to many people after moving to a new home, it doesn’t have to be that difficult. By considering these factors, you will create your budget with less hassle.